What a guy! 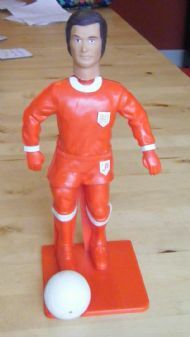 A real rival to Roy of the Rovers despite his oddly detached head! A large sized kicking footballer with goalie and goal. Press his head down to kick the ball. 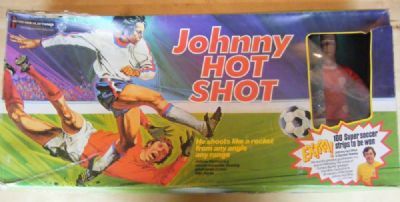 I always want to buy johnny hotshot sets and spares so please contact me if you have any to sell. I have plenty of spares to sell as well. A massive box for a massive hero! A really unusual separate moulded head roughly attached to a cheap plastic body. Des O'Connor's younger brother? The box contains two cut out rosettes. Wow! 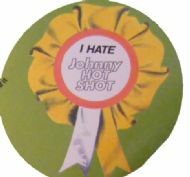 'I dig Johnny Hotshot' are you for real? 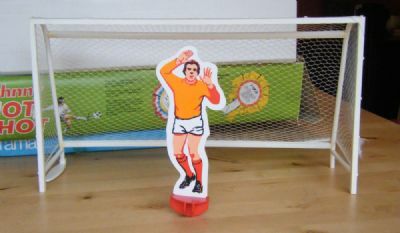 A huge plastic and netting goal approx 2 feet wide with large card keeper. 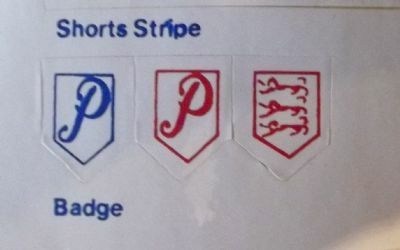 The stickers include three scrawny lions and a choice of red or blue P badge! Nice design on the inner tray doubling as a ball holder. Each ball is much larger than a ping pong ball. The figure comes with white or blue stickers to add trim, badges and numbers to the player figure. 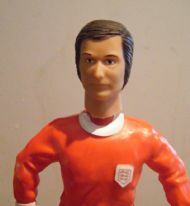 A slightly odd looking footballing hero. 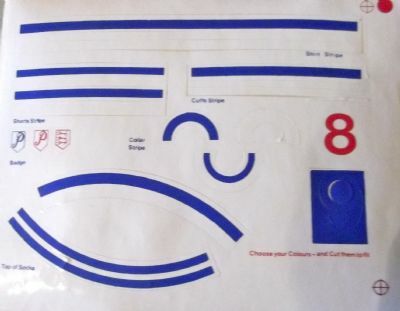 Available in both red and white colour versions with contrasting kit stickers.